Hats have a tendency of getting nasty pretty quick. There is a lot of contradictory information on the web about how to properly clean a cap. This article will help clear up some of the confusion. First and foremost: DO NOT under any circumstances put your hat in the dishwasher. Let’s just get that out of the way now. Caps accumulate sweat, body oils, odors, dirt, etc. Do you really want all of that anywhere near your dishes? If that doesn’t bother you, the shrinking will. Dishwashers use steaming hot water that is likely to shrink the fabric if used to clean a cap. Before you clean a cap, you need to figure out what it is made out of and ensure that the colors won't fade, or bleed onto other fabrics. 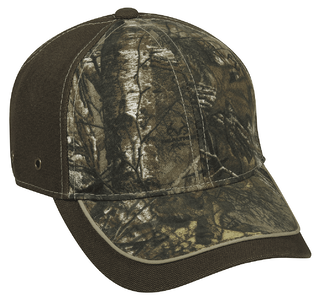 You also want to treat any stains or odors prior to washing the hat. The first thing you need to do is look over the fabric care label for any washing instructions; always refer to this first. There are three types of fabrics most caps are made of. It is also important to know whether your visor is made of plastic or cardboard. Cardboard visors will lose their shape, and even mold if submerged in water. All caps manufactured in the late 1980s or newer will be plastic, so unless your hat is vintage you don’t have to worry about this. Rest assured, any Outdoor Cap hat will be made with a plastic visor. Next, you need to check your hat for colorfastness. Although most hats are colorfast, you're always advised to double check before turning everyone’s socks pink. There are two ways to test for colorfastness. The first method is to simply rub the fabric vigorously and forcefully on a white sheet of paper. If no color transfers to the paper, you’re all set. The second option is to take a clean white rag and dip it in a mild detergent. Add some water and rub the rag on a colored area of the inside of the cap. If no color bled onto the rag, and there is no fading once the cap is dry, then you’re safe to move on to the washing stage. 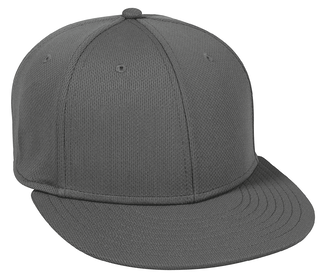 For dirt and grime stains, spray the hat with a pre-treatment spray, and let it sit for 10-15 minutes. 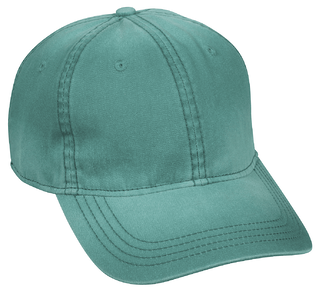 For blood and grass stains, soak the hat in a mixture of cold water and liquid detergent for 30 minutes. You can do both, but be sure you use the spray method before using the soaking method. If the hat is extra dirty, you can use a clean toothbrush to gently scrub the stains with the cold water/detergent solution until it creates foam, then repeat the soaking process. You can also deodorize and kill odor-causing bacteria by spraying the inner panels and sweatband with a 50/50 solution of rubbing alcohol and water. Finally, NEVER put your hat in the dryer. Take it out of the washing machine and let it air dry. You can hang dry it, but I recommend you place it on something like a coffee can or a balloon to help keep its form. You can even wear it while it dries to ensure a perfect fit. That’s it! It's actually quite simple to clean a cap. Care to weigh in on the dishwasher controversy? Let us know what you think in the comments below. For more information, follow us on Facebook, LinkedIn, and Twitter.